12 patients funded by "Make Something People Want" poster! 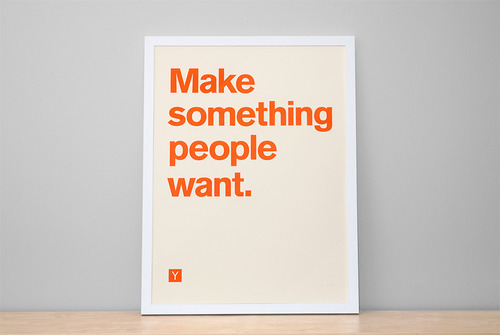 Our friends at Alvy Brooks created a beautiful, limited-edition poster featuring Y Combinator’s motto and committed 100% of the profits to Watsi patients. 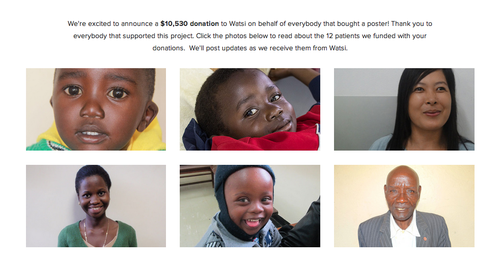 The result: $10,530 raised to fund ife-changing medical care for 12 patients in 7 countries. Thank you to Alvy Brooks and everyone who bought a poster for making this possible!